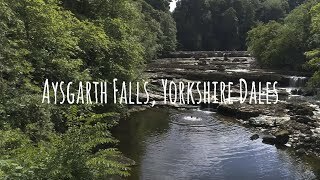 Aysgarth Waterfall an Accessible Wheelchair Friendly walk in the Dales. Aysgarth Falls is a series of three waterfalls located on the River Ure, in lower Wensleydale, in the Yorkshire Dales. 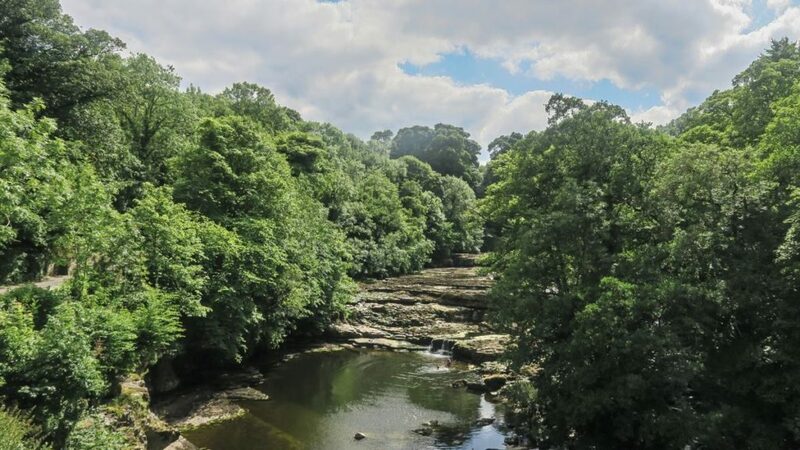 The name Aysgarth comes from old Norse, meaning ‘the open space in the oak trees’. The Falls have their origin in the Ice Age many thousands of years ago, when enormous glaciers ground down the valleys. Aysgarth is the place where the poet Wordsworth spent his honeymoon and The artist Turner sketched the falls 1816, when making illustrations for ‘A General History of the County of York’ by Thomas Dunham Whitaker. The falls were used as the backdrop in the film ‘Robin Hood Prince of Thieves’, during the famous fight scene between Robin and Little John. Rumor has it that Kevin Costner complained that the water was too cold! 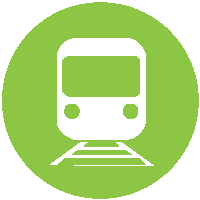 The walk is taken from one of the ‘Miles without Stiles’ produced by the Yorkshire Dales National Park and begins at the Visitors Centre, where there is blue badge parking and Radar toilets. The signposted walk passes through the ancient coppiced hazel woodland and offers views of the middle fall from a specially made view platform. Access to the lower falls is via a flight of stairs and so viewing of this fall is not possible. However, heading back through the carpark, another path leads along the route to the top falls. Here the path is quite rocky and you may need a helping hand if you are in a manual wheelchair. Usually the falls roar as the water gushes over the top but when we visited they are eerily silent. Yorkshire had only had one third of its usual rainfall for June and the waterfalls were almost dry. It was quite an amazing sight to see – people climbing over the rock beds and children playing in the rock pools, which under normal circumstances, would be covered with tonnes of fast flowing water. The visitors centre has a lovely little exhibition on wildlife and small shop. There is a café too, which is all totally wheelchair accessible. There is an abundance of wildlife to see at Aysgarth, including red squirrel and deer. During the spring the woodland area is a carpet of bluebells and primroses, but it is beautiful place to visit all year around.